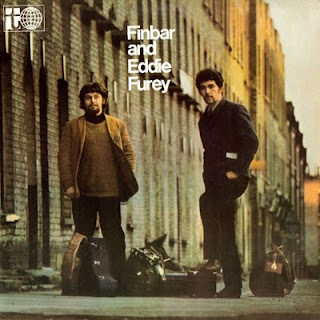 Finbar and Eddie Furey are two brothers from a family of six comprising four boys and their parents. The whole family is musical. Mrs. Furey plays the banjo and the accordion ; Ted Furey, their father, plays fiddle, pipes, whistle, banjo and mandolin. Fin and Eddie began playing and singing professionally at the age of nine when they busked on trains going to football matches. Shortly afterwards they began playing all over Ireland at the famous O'Donoghue's Pub, at race courses and sea-side resorts. When Finbar was thirteen he got his first bag and chanter (a half set of pipes) and when he was fifteen he won the All Ireland junior championships for pipes. Within three years of this Finbar won twenty-three senior championships including the senior All Ireland and also won a couple of duet championships with brother Eddie. The two boys plus Ted Furey, their father, also won the Ulster senior trio championships and finally in 1966 Eddie and Finbar Furey won the international folk award in Tralee against eighty other groups. For this they got 170 in prize money which they say lasted about three days. 'It went to charity', says Eddie. 'Guinness charity' says Finbar. Fin and Eddie are descended from the royal bards in West Meath in Ireland centuries ago. 'We would probably still be there if Cromwell hadn't driven us out' says Eddie. Thanks, Cianfulli. I'm amazed that I have a record that you don't, and I'm in a part of the world just a bit to the left of Tierra del Fuego: Western Australia. I just took a stab on this, on the basis of the cover photo. It turned out well: it's a fine album, which I've enjoyed many more than a hundred times over. It was released in Oz by Astor as GGS 1021, tho Transatlantic Records are credited also. There is no date on my copy. It was recorded by St Bill Leader and the cover shot is by Brian Shuel. oh! the Mick Moloney songs from this are priceless! "the Ivisible Man" is quite "psych"(halfway between strangeleys and stringband, but more irish-ey than either post them up for everyone plz. 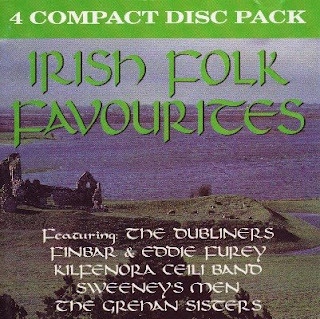 I have the original vinyl album and the Finbar Furey pipes album released around the same time (to rip when I get the time). The tracks off F&EF plus Tracks from The Lonesome Boatman I have on a CD which I bought from a dump bin in a Morrison's Supermarket some years ago for the princely sum of £1. Yes, please post the Mick Moloney!